It’s official! The Page Flutter family is expecting Baby No. 3, and we’re over the moon about it! 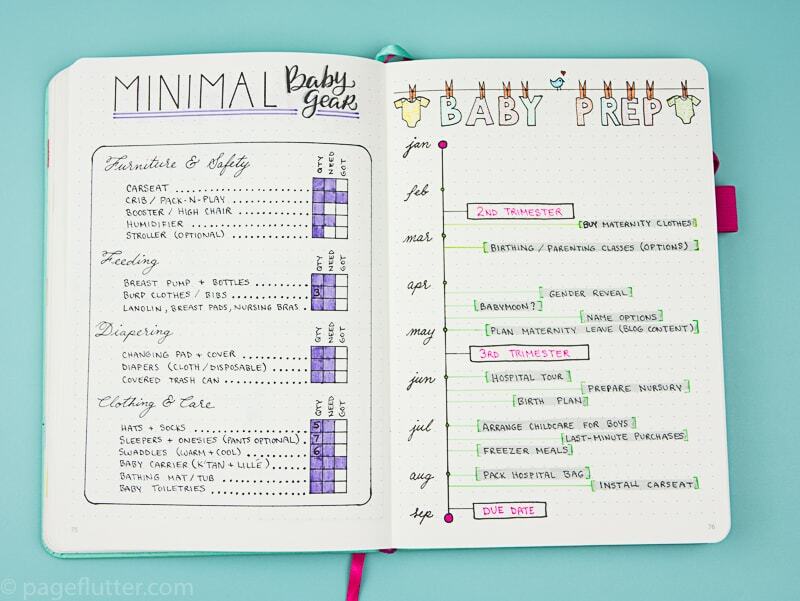 Check out my pregnancy Bullet Journal trackers and memory pages to get me through the next several months. Plus, some of my best lessons learned from my first two babies. Preparing for a new baby is such an exciting time, but it can also be stressful and overwhelming. 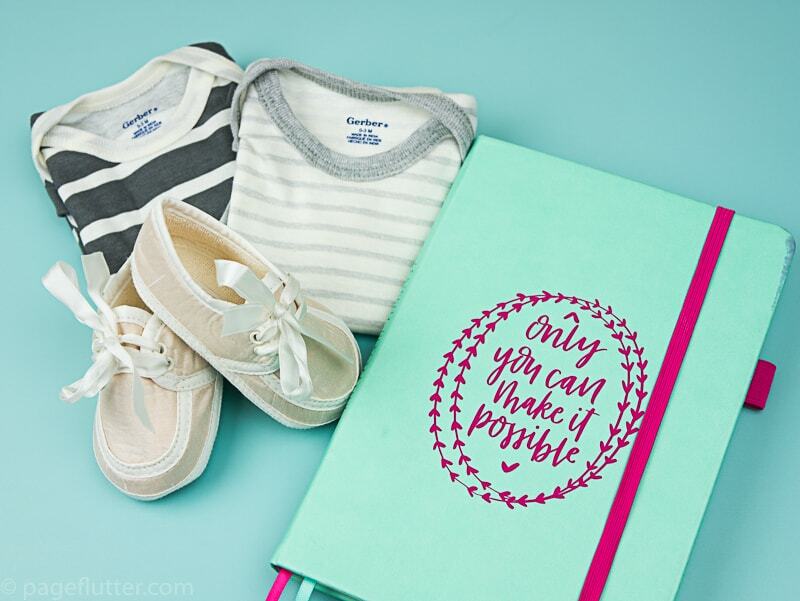 In case you missed the announcement on Facebook and Instagram, the Page Flutter family is expecting Baby #3! We’re all very excited, especially my oldest son, who follows every baby-related factoid like it’s Panda Watch. *Here’s the deal: I am not a health care professional. I receive proper prenatal care from a qualified health care team, and I urge you to do the same. Nothing in this post should be perceived as anything other that one mom’s opinion. Ideally, you should start preparing for your pregnancy long before you ever get pregnant. I don’t mean buying baby gear or packing the hospital bag. 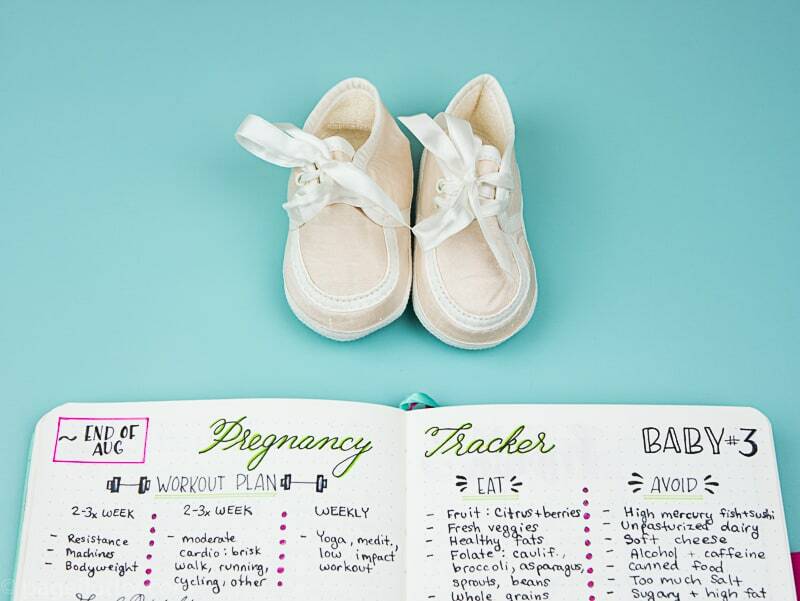 The earliest preparations have to do with family planning, finances, being physically and emotionally ready, taking prenatal vitamins, and other things like that. As for everything else, different people will have different timelines. I’m heading into my 4th month of pregnancy, so I waited quite a while to share this news with everyone (for reasons I’ll mention in just a minute). Right now my focus is my health. I really haven’t prepared anything for the baby yet, and I won’t for a few more months. We’re moving across the world before this kiddo is due, so it would be pointless for me to set up a nursery. That will have to wait. 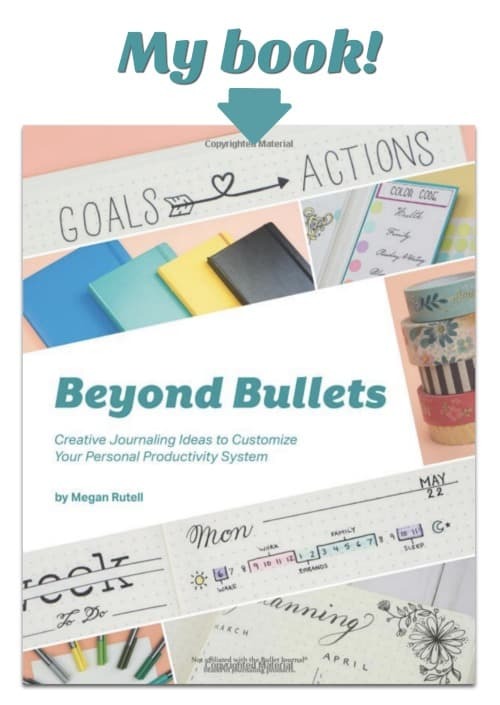 When you start planning all depends on your personality (do you work better at the last minute or far in advance?) as well as your family situation. Since this is my 3rd child, I’ll probably skip the birthing classes (I took Lamaze with my first son and it was amazing), nursery decorating, baby showers, and gender reveal parties. For now, I’m focused on exercise, eating healthy, managing my stress levels, and spending time with my family. I’ll worry about everything else in my 3rd trimester. It works for me. A couple friends of mine, on the other hand, needed to prepare every detail of their pregnancies. 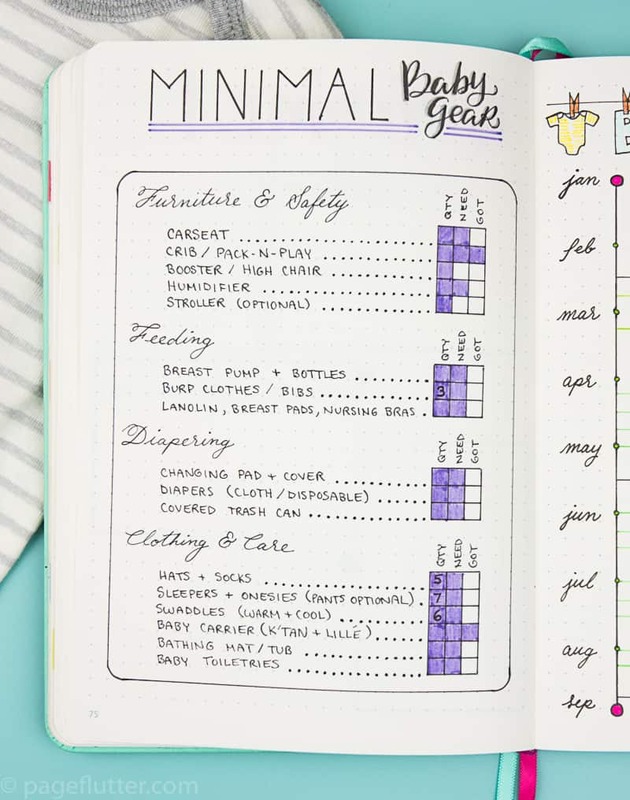 They packed all nine months with home remodels, weekly trips to Babies R Us, elaborate name choosing systems, pregnancy announcement parties, gender reveal parties, baby showers, babymoons, and scouring every product review ever written on Amazon. That’s just how they processed the big change in their lives. It worked for them. Start preparing for the new baby when your instincts tell you to. They’re usually right! 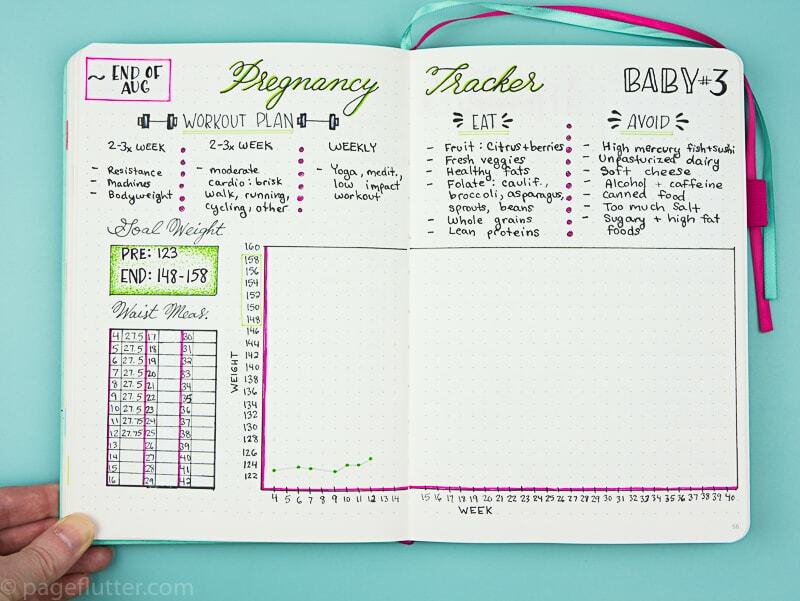 What should you track during pregnancy? 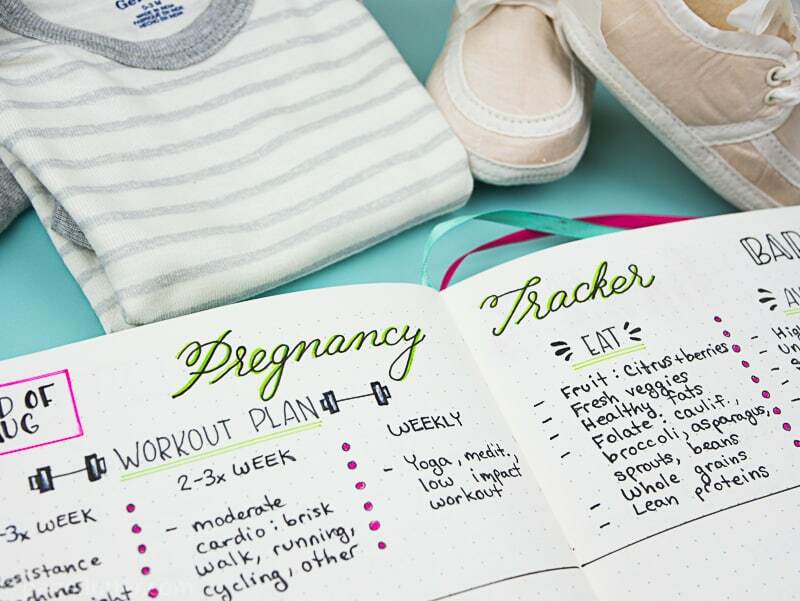 Tracking your physical health is important during pregnancy. Not only does that information help your doctor or midwife take better care of you, but it also gives you insight into how your body is changing. The first spread I’m sharing is a simple health tracker. 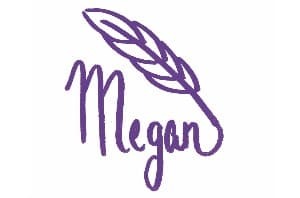 As I mentioned before, I waited a long time to share news of my pregnancy on the blog. 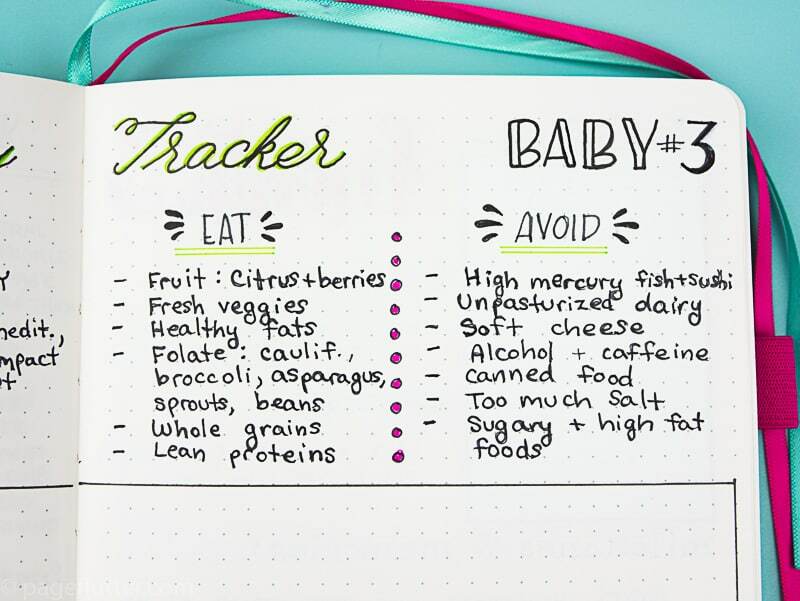 My last pregnancy ended in miscarriage at 12 weeks (about a year and a half ago), and I had poured a lot of energy into creating the perfect trackers. Needless to say, I was disappointed, surprised, and more than a little sad…And even though this seems silly, I was also bummed that I didn’t get to use my cool trackers! So, this time I waited until later to create my pages. I tracked my weight in an app called Pregnancy+, then transferred the information to this spread when I was ready. I also created a section to track my waist measurement, and a plan for getting the exercise I need. We all need reminders to eat healthy, sometimes. Pregnancy comes with its own dietary needs, some of which are intuitive, and others that aren’t so clear (for example, the U.S. and U.K. have different recommendations regarding deli meats). I created a little reminder list for myself that hits most of the major points. What do I need to buy for a baby before it arrives? You need about 5% of what they sell at the baby stores. I know for a fact that my husband and I went way overboard on gear with our first baby. We toned things way down with our second baby, and now we take a completely minimalist approach to parenting. This is probably for the best since we’re about to move to a much smaller house in Japan. Carseat: A carseat is nonnegotiable. Get a good rear-facing car seat and learn how to install it. Full stop. Sleep: We ditched our crib for a Chicco play yard. That’s right, I said it! Cribs are not essential. In fact, our expensive crib had many safety recalls, but our play yard went the distance. We kept it in our room when the baby was little (with the basinet insert), the moved it to the nursery later on. Plus, it makes more sense for our traveling lifestyle. Skip the toddler bed and jump straight to a twin bed with a safety rail. Carrier/Stroller: I consider a stroller optional. Nice to have, but not essential. My baby carrier, on the other hand, is essential! I love to wear my kids in wraps (my favorite is the Baby K’tan) when they’re tiny. When my second son got big enough, he loved riding on my back in his LILLEBaby carrier, which was also very comfortable for me. If you like to run, though, you may want to invest in a good jogging stroller. I used to have a BOB and loved everything about it. I breastfeed my kids, so it’s a pretty simple affair for the first 6 months or so. I got the Medela Freestyle breast pump when I had my first son in 2010, and I’ve used it ever since. I was active duty military at the time and worked 60+ hours a week, pumping around the clock. My Freestyle never failed me. I can’t put into words how much I relied on this thing. Breast pads and lanolin also come in handy. Onsies: I don’t do complicated outfits. Babies live in onesies. I might decorate the onesies up with some HTV and my Cricut. Swaddles: Both my boys loved to be swaddled, so I keep a handful of muslin and flannel swaddling blankets. I’m not a fan of the swaddle sacks because both my boys broke out of them (although some of my friends like them). I always found I could wrap my wiggly boys more securely in a flat blanket. Baby tub: I bathed with my babies (me in the tub with the baby on my knees) when they were really little, but you can also use a baby bath sponge in the sink. My husband was more comfortable with a plastic baby tub. Between my work schedule on Page Flutter, the new baby coming, and a pending international move, I could very easily freak out. But I’m not! In fact, I feel strangely calm about everything. The biggest thing for me to worry about is getting us to our new home. 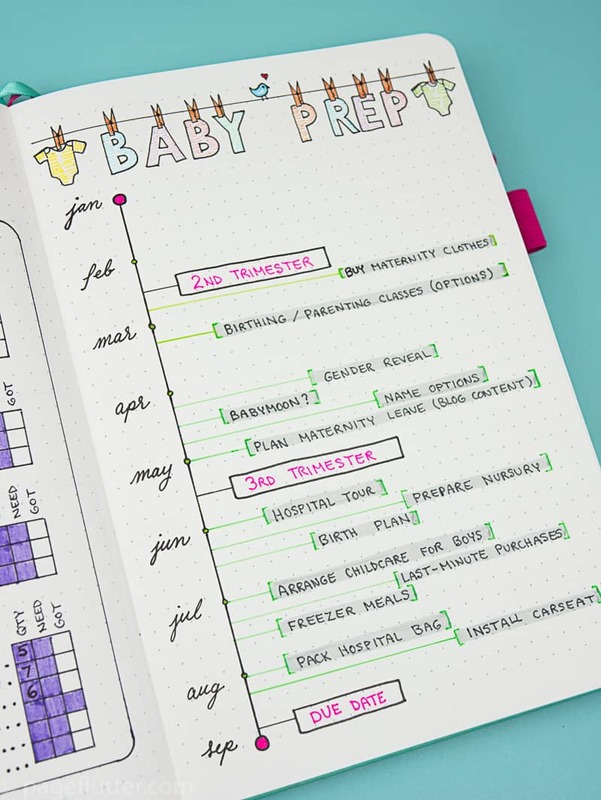 I made this quick timeline to give me an idea of baby-specific things I need to take care of when we first get there (around the beginning of my 3rd trimester). Things are so much easier once they’re on paper. As long as we have a safe place for the baby to sleep, a couple packs of onesies, the car seat, diapers and some swaddling blankets, we can take our time with everything else. As I was making my pregnancy Bullet Journal trackers, I took a little side trip into scrapbooking/memory-keeping lane. I’m not great at keeping photo book, but I am good at keeping up with my journal. 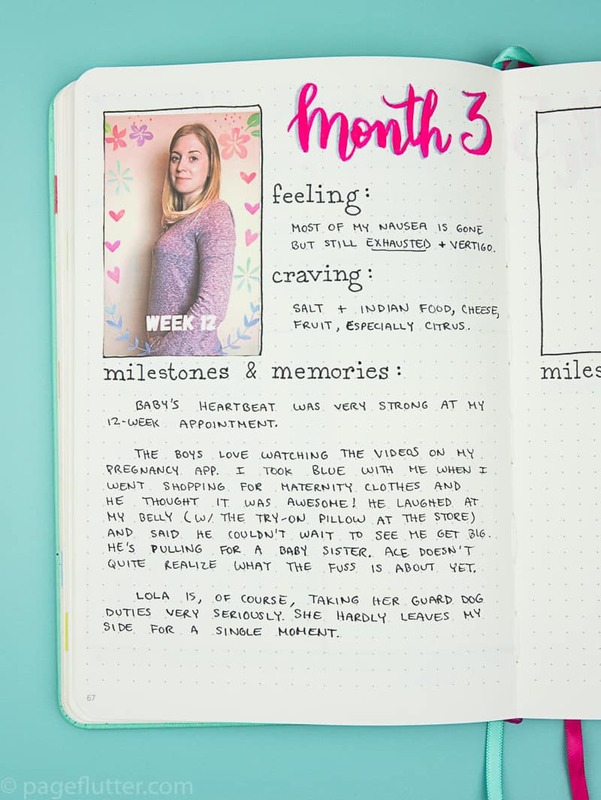 I decided to stick my bump photos straight into my journal using my HP Sprocket. 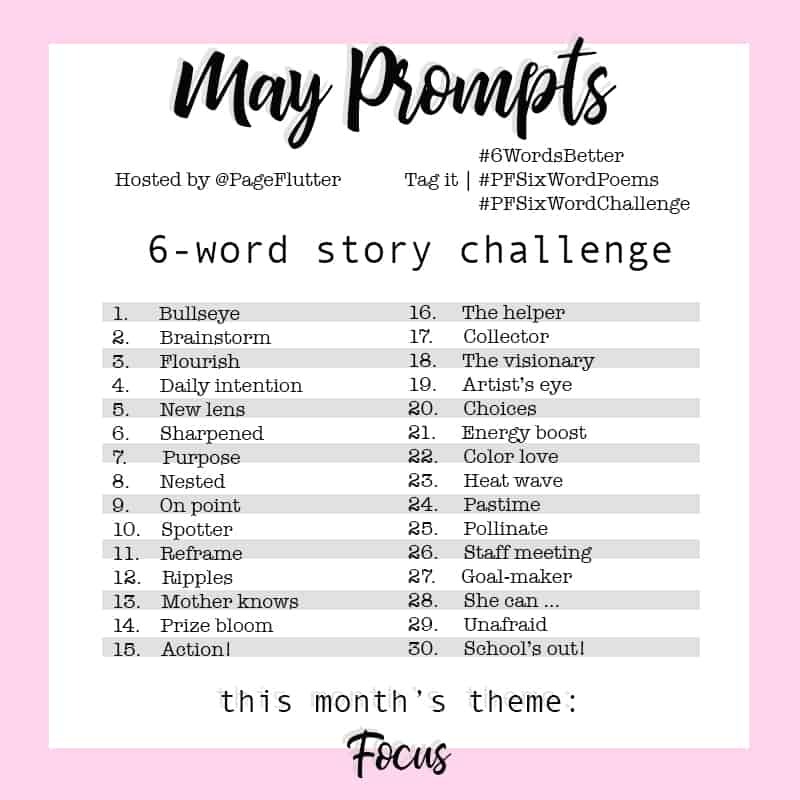 Like I mentioned before, I didn’t want to start my pregnancy pages too early (kind of like counting my chick before the hatch), so my first entry is for month 3. 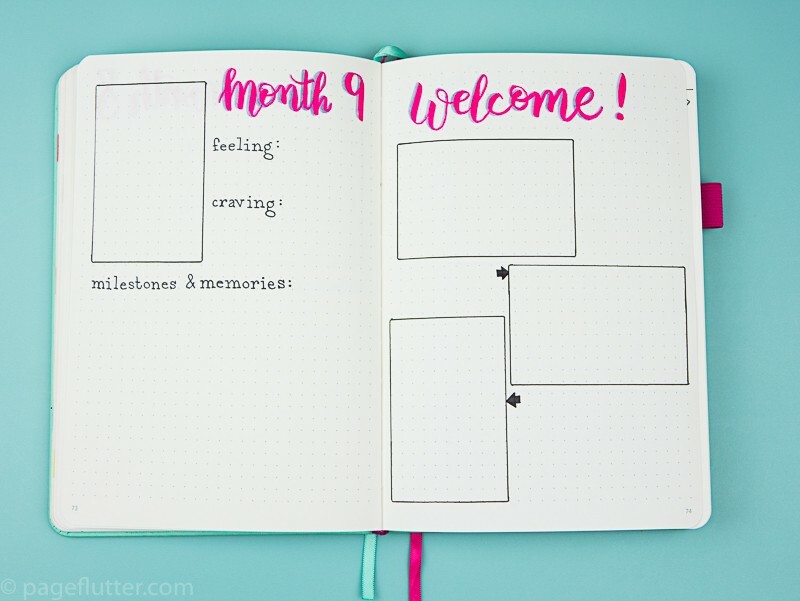 I made one page for each month, plus a welcome page for our little girl or boy. Don’t read too much into the pink headers. It’s just the marker color I like that day! I can’t wait to fill that welcome page with our new baby’s name, weight, and birthday. I definitely had to leave more than one space for sweet baby photos! Nesting checklist: things to clean out, projects to finish, rooms to organize, etc. Baby announcement list, baby shower “thank you” cards, etc. You might think a guy would not be interested in this, but I am. These are very beautiful and creative. I appreciate the design and creativity. Thank you.